Local, honest and dedicated contractors who are committed to their projects are rare to find. 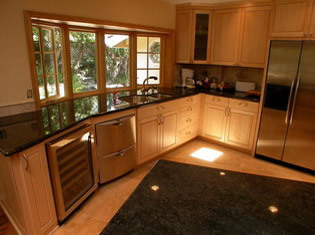 We want to ensure our customers with the best remodeling experience possible. We do this by keeping our cliental small and never taking on more projects then we can handle. We want to be able to personally advise and communicate with our customers. Becker Enterprises is here with you every step of the way and our client relationships are cherished greatly. From a scratch paper idea or detailed plan, we can bring your concept from a wish to reality. You will find our services exceptional from concept, to the permit process and all the way through completion. Our on site supervision and employee services are second to none during the project and beyond. Your satisfaction is our primary concern. We guarantee you with quality service that is on time and profesional. When taking on a projects we fully commit to our customers. Our commitment is key to maintaining a clean and well organized job site showing that we try our very best to go above and beyond your expectations. We want your remodeling envisions to become reality. You can count on us to bring the very best workmanship and the best quality craftsmanship products to your project. New construction, remodeling, additions, foundations, retention construction, concrete work, driveways, walls, stone work, electrical, plumbing, tile, hardwood, roofing, retrofitting, siding, patio covers, pool and spa remodeling for all residential, commerical and industrial. We purchased a home that was in disrepair and run down...a true fixer-upper by two people who have no constructional abilities at all. However, as with so many things in life, it is not "what you know" but rather "who you know!" Steve you have guided us through a 100% renovation, designed all the improvements and delivered a product that is truly outstanding and that we are very proud to say we own. Your professionalism, diligence and constant striving to achieve perfection are apparent in your work and we would never have anyone else work for us but you!